The Generals Store & Co. is skillfully curated with off-the-wall gifts, locally-made jewelry, quirky finds and entertaining decor. With each visit, you&apos;ll find something new to laugh at, admire and maybe even make you blush. Stop into this hidden gem to discover that new find you can&apos;t live without! Stay current with new arrivals and first-looks here. 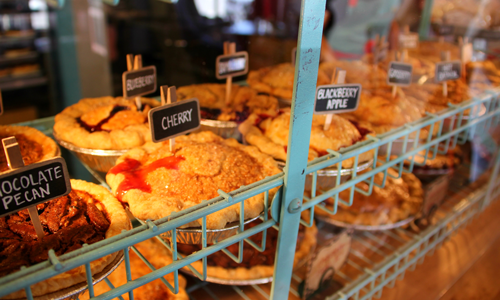 Pies, cookies and other delectable treats are just on the other side of the cutest patio and red screened-door. Inside the Upper Crust Pie Bakery, the smell of butter and sugar fills the air. Rows of pies, cute kitchen wares and adorable bistro sets fill the bakery. Having trouble picking just one flavor? Go for the cutie-pies or stop in during Local Life for Pie Flights! Using the freshest ingredients, every Upper Crust pie is handmade to create the perfectly flaky goodness we can&apos;t get enough of. See what new flavors are being baked up today here. Ten Thousand Villages brings products from artisans and farmers all over the world, and is the only 100% fair trade dealer in the region! By promoting intercultural understanding, Ten Thousand Villages create opportunities for artisans in developing countries to earn income by bringing their products and stories to market through long-term fairy trading relationships. To learn more about fair trade artisans, farmers, their culture, and their challenges stop by or click here. 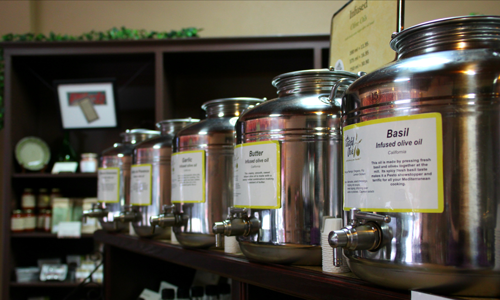 As the first store of its kind to open in the state of Kansas, The Tasteful Olive has cultivated the largest selection of fine-quality, fresh olive oils and aged balsamic vinegars. With more than 65 varieties to sample, your own taste buds and the knowledgeable staff will help you find your new favorite flavors to amp up any dish. Find inspiration for your next dinner date with a wide selection of gourmet pastas, sauces, tapenade, or kick up the taste with seasoning blends and exotic sea salts. 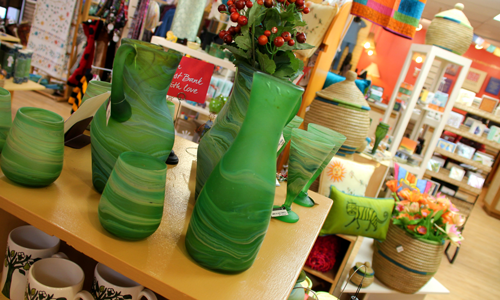 Visit The Tasteful Olive in Downtown Overland Park or online. 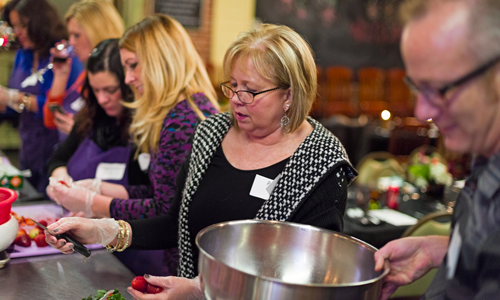 Discover the Culinary Center of Kansas City in Downtown Overland Park! Offering more than 600 contemporary classes in the culinary arts each year, the CCKC de-mystifies the art of cooking with experienced instructors and a fun, comfortable environment. Their retail shops offers serious culinary retail therapy with locally-produced goods, including their own creations like the Kitchen Boa™. Follow the Culinary Center online to find your next culinary adventure.